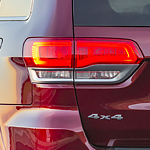 With four unique and different trim levels to choose from, the Dodge Durango is a vehicle that is turning heads for the 2019 model year. This vehicle is luxurious, gorgeous and sleek in all the right places. The base model SXT is impressive on its own with 18-inch wheels made of aluminum and painted. 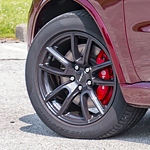 The GT trim level comes with 20-inch wheels, making the Durango look even more solid than it did at the base level. The Chrysler Pacifica, a popular hybrid minivan, is the perfect vehicle for drivers who crave good fuel economy. With the often high prices of new vehicles and the fluctuating prices at the pump, many drivers are now choosing vehicles that offer not just good performance but also fuel economy. 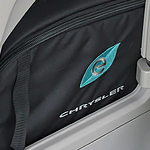 Various models of the popular Chrysler Pacifica can be seen at Crystal Chrysler Dodge Jeep of Homosassa. The Jeep Grand Cherokee has always been a remarkably popular vehicle. It appeals to a wide range of drivers, be they commuters, adventurers, or parents who need to haul their kids across town. In service to these three groups, Jeep has included a host of fantastic features with the 2018 model of their flagship SUV. Here are some of our favorites. The Jeep Cherokee brightens your nighttime explorations with automatic LED headlamps that come on when it gets dark and shuts off when they’re no longer needed. LED Daytime Running Lamps ensure that you’re seen when the sun is out and front LED fog lamps allow visibility even when mists descend to cut your view. 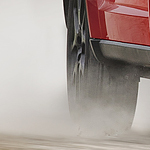 Whether you’re on the road or the trail, independent suspension for the front and rear ensure a fun experience from excellent driving dynamics. The high-strength steel body structure maximizes torsional stiffness while providing for lightweight architecture and a quiet cabin. 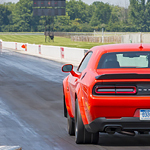 Chrysler has continued to demonstrate the height of perfection in vehicle design and performance. The Chrysler 300 is a popular full-size luxury sedan that exemplifies the Chrysler standard of perfection. 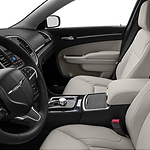 With 14 interiors to choose from including standard cloth and premium Nappa leather, the Chrysler 300 offers the customization necessary to please any personal taste and preference. Drivers can choose the ultimate in comfort with the available heated eight-way power front seats or the upgraded ventilated seats. Just because your family is driving around in a minivan doesn't mean it can't still have some of the greatest performance features on the road. 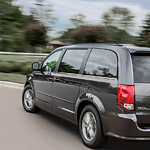 That is why our team here at Crystal Chrysler Dodge Jeep of Homosassa is so excited to announce the arrival of the brand new 2018 Dodge Grand Caravan. Have you always dreamed of owning a classic Jeep? The 2018 Jeep Wrangler has the style that you're looking for. This compact SUV is designed for city driving through Homosassa and off-road adventures. 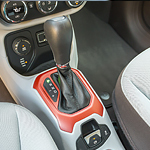 The cost-efficient Dodge Journey became one of the most popular mid-size SUVs because it attracted drivers who wanted to save up on fuel and also protect the environment. In addition to these important factors and the vehicle's sleek style, the exterior features of the Dodge Journey are also neat. Which 2018 Challenge will you choose? With a wide range of color and design options available, you’ll be able to find your own unique style with this popular muscle car. Let's take a look at some of the features. Do you prefer a modern look? The R/T Modern hood stripes may better suit your needs. You can also go with the SRT Twin Racing Stripes that can really accent your paint.